The RNZA Historical Trust is a registered charitable trust which will own, preserve, protect and enhance items of importance to the RNZA including research material, historical records, artefacts, trophies, collections and memorabilia. The initial items will be the collections held as unit private property of RNZA units and sub-units throughout New Zealand. The initial steps are to record, refurbish and manage such items, and to encourage the donation and collection of any items with historical interest to the RNZA. The Trust will own the items, but they will largely be left in the keeping of the various units and sub-units that currently hold them. This is an important step in the preservation and promotion of our heritage. The permanent trustees will be those holding the appointments of Colonel Commandant, Regimental Colonel of the RNZA, CO 16 Field Regiment, RSM 16 Field Regiment, and President of the RNZA Association. Initially there will be up to another five trustees appointed, and these are listed on subsequent pages, together with the Trust Deed. 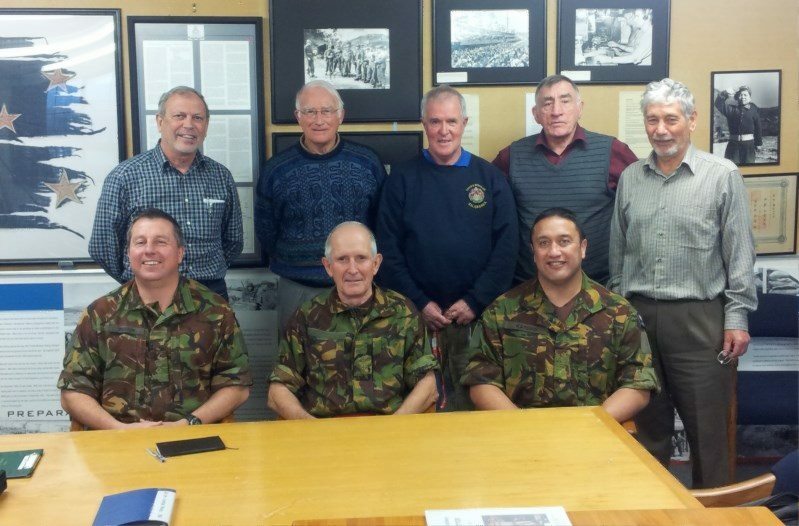 Front Row L-R; Col Barry Dreyer, Rob Munro (Chmn), Lt Col Andrew Shaw (CO).